This metalwork sterling silver mandala pendant was handcrafted of 16g sterling silver wire, sheet, and bezel wire. 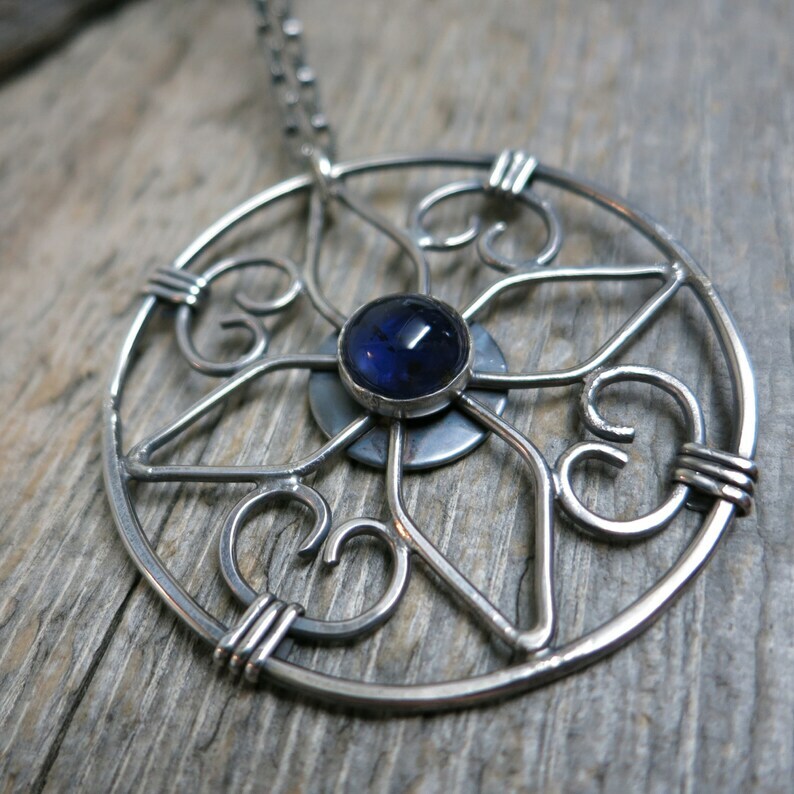 It was soldered in phases, set with a stunning 8mm cobalt blue sapphire stone, and antiqued with hand polished highlights. 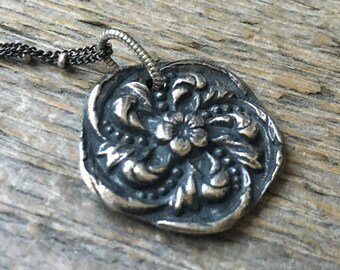 It has an oxidized sterling silver box chain. Chain measures 18" from end to end plus the extender at the clasp.